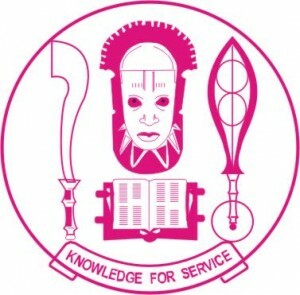 The Centre for Forensic Programmes and DNA studies of the University of Benin (UNIBEN) provides high quality instruction and advanced hands-on training in forensic science techniques and crime laboratory methodologies. Speaking at the orientation programme for the pioneer Post – Graduate Students for the 2018/2019 academic session, the Vice-Chancellor, University of Benin, Prof. Osasere Orumwense FNSE, urged the students to be committed and focused so as achieve their desire of being forensic experts. Prof. Orumwense informed the students that himself and other principal officers of the university recently traveled to the United States of America and Canada to sign a Memorandum of Understanding (MOU) with the Centre for Forensic Research and Education, Philadephia, U.S.A, Paleo DNA Centre and Lakehead University, Ontario, Canada. In his welcome address, the programme Coordinator,b Centre for Forensic Programme and DNA Studies, University of Benin, Prof Edeaghe Ehikhamenor while congratulating the students added that the Centre undertakes Post-Graduate Diploma in Forensic and DNA Analysis (PGD Forensic) as well as other training such specialized short certificate courses in areas of DNA analysis and forensic science .He also added that the centre shall also provide services in DNA technology and forensic specialties for other departments within the University and other service/research Institutions of Higher learning in the country. A total number of 45 students were admitted for the programme which will run for 9 months.